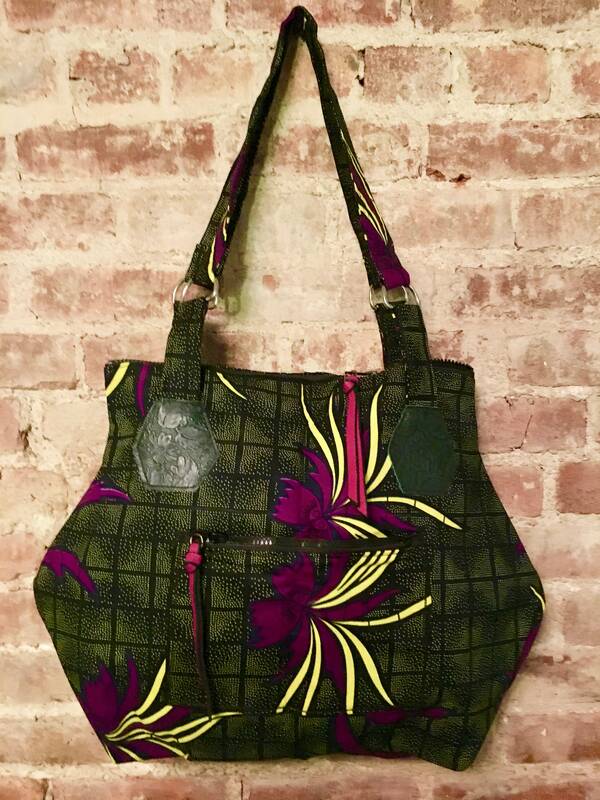 This is a large roomy zippered tote bag made with a beautiful floral African print textile from Mali. 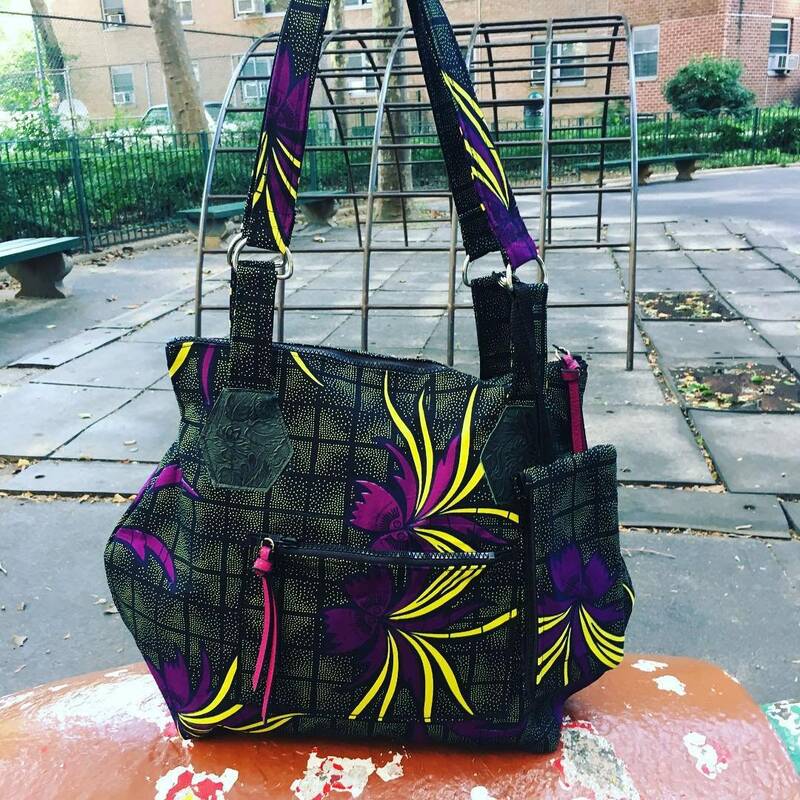 This bag features an interior lined with a durable lightweight canvas and has one large interior pocket and an exterior pocket with a zipper. 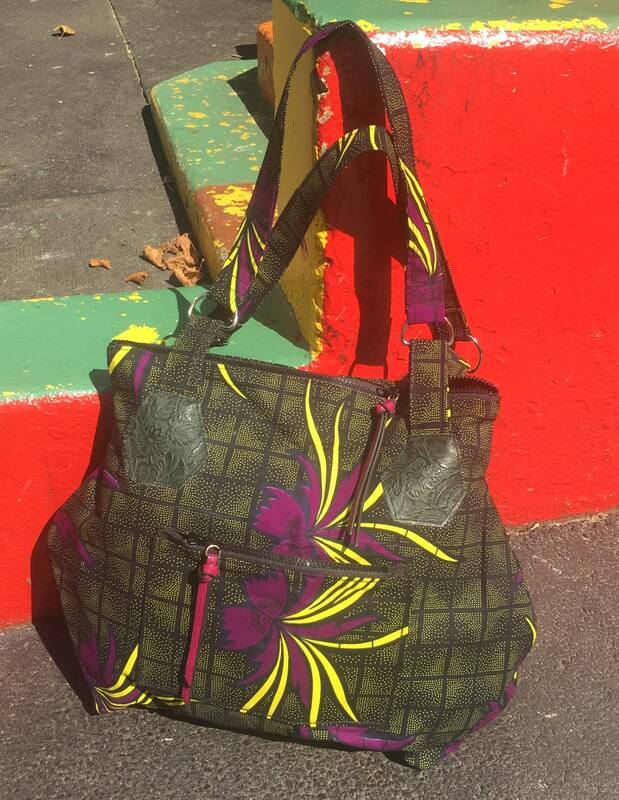 This bag comes with a matching pouch that can attach to the strap of the bag or be carried around separately as a wristlet. 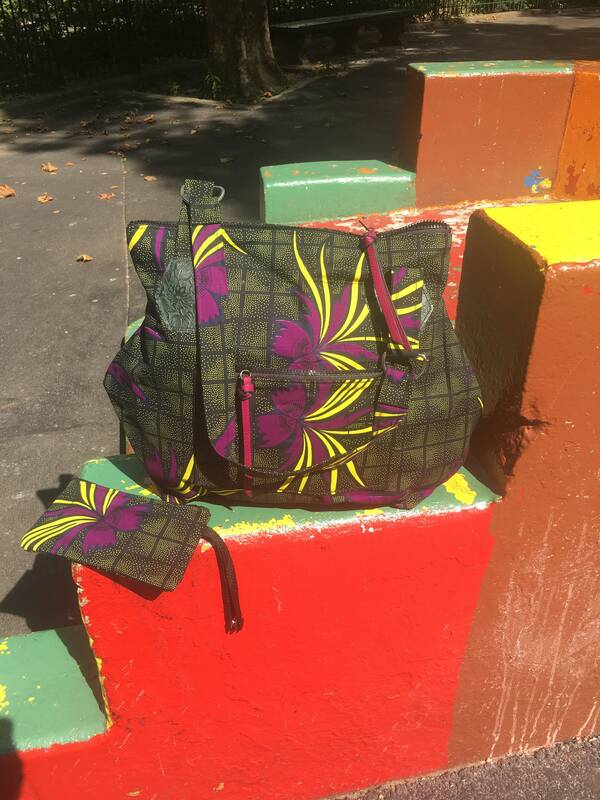 The pouch is the perfect size for your essentials (ie. cellphone, keys, money).